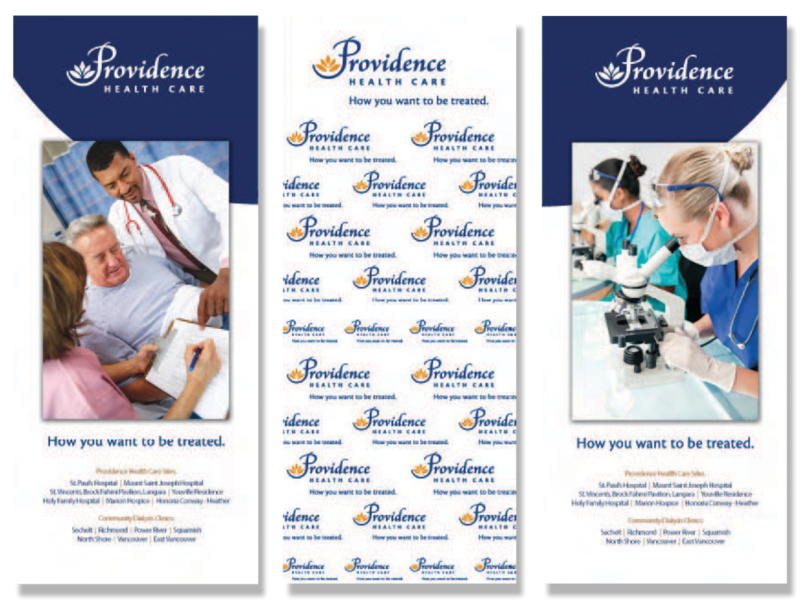 Communications & Public Affairs created, owns and stores Providence Health Care’s three main display banners. They can be borrowed for events by any PHC staff member, physician, researcher or volunteer and are ideal for increasing visual identity awareness and credibility for your event or as a backdrop for photography. Please note: All banners must be returned exactly as they were when they were lent out. Damage repair costs will be billed to the user. Each PHC site leader has the ultimate responsibility to review and approve requests for new signage at their sites, program areas or units. Cornerstone Signage & Design — an external service — will then create the signage according to pre-approved PHC templates. Please note that Communications & Public Affairs is not responsible for site signage. To order signage, please submit the PHC Signage Request Form.